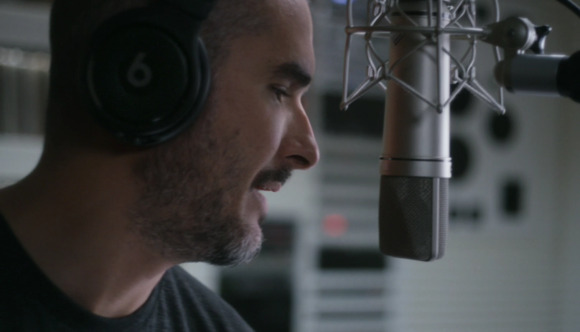 Apple enlists famous artists to help Beats 1 capture listeners. Apple Music’s Beats 1 just might turn out to be the global radio station you never knew you wanted, but can’t live without. Beats 1 starts broadcasting at 8 a.m. Pacific on Tuesday, June 30, Apple Music Senior Director Ian Rogers tweeted Thursday. New details about the service were revealed in a New York Times profile of radio personality Zane Lowe, the Los Angeles-based voice of Beats 1, who Apple poached from Britain’s BBC Radio 1. Lowe certainly has chops, and is known for predicting the meteoric rise of artists like Adele and Ed Sheeran, but bringing live radio to an app has never been done before in this way. Do people even want human-curated soundtracks anymore? “The whole thing could be a total, abject disaster,” Lowe told the Times. The newspaper notes that 243 million people still listen to terrestrial radio in the U.S. each week. SiriusXM, the satellite radio service that is most comparable to Beats 1, has 28 million subscribers. Pandora has 80 million monthly active users. People obviously love the mindlessness of letting a DJ (or an algorithm) pick which tracks to play. Apple has an advantage over its radio rivals: Beats 1 comes packaged with Apple Music, which offers on-demand streaming. Terrestrial radio, SiriusXM, and Pandora don’t have that. Apple Music will also come preinstalled on iPhones as part of iOS 8.4., making it immediately and easily accessible. Why this matters: With the going rate for streaming services pegged at $9.99 a month, Apple has to differentiate Apple Music with features instead of price. Beats 1 is a gamble, one that didn’t sound so appealing at first, but as new details emerge, the station has potential to be a huge selling point—or a complete flop. How will Apple measure its success? Lowe said if Beats 1 helps a new artist break out and become a global sensation, even if the service doesn’t last, it will have been worth it.